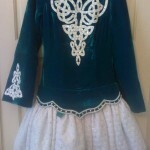 Lovely modern, with traditional design, soft puffball dress. 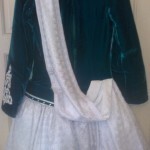 Jade silk velvet bodice and sleeves and white duchesse satin with overlay of lace skirt. Belt is removeable to make any necessary alterations easier. 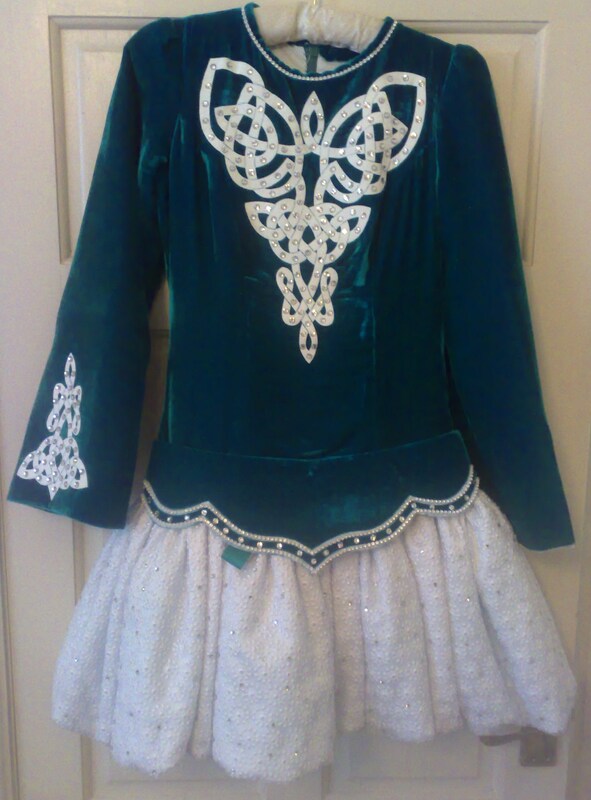 Photos don’t do the colour justice, it’s a really rich jewel jade bodice and sleeves. Worn just twice and only selling because we’ve moved schools. 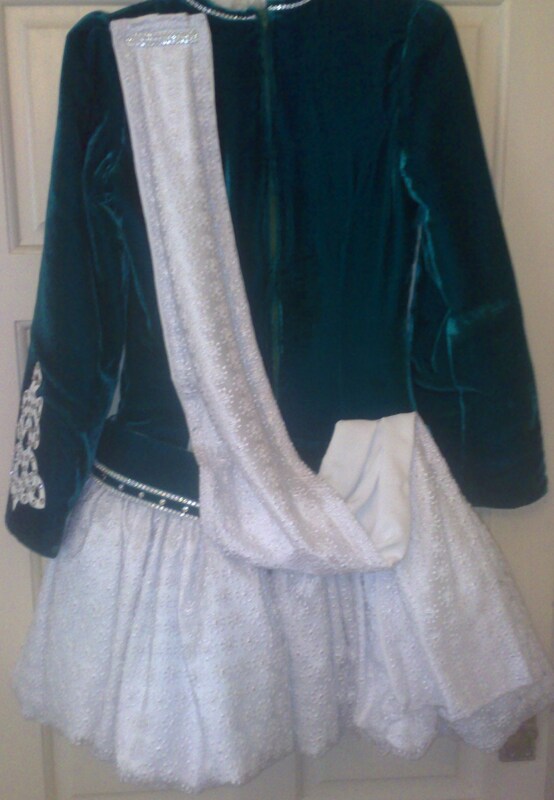 Lots of Swarovski stones on bodice and skirt. Comes with white knicks and a white headband with Swarovski stones. Approx 1.5″ let down and 0.5″ on each seam on bodice. Dress measured flat. Dancer 5′ 7″ and curvaceous. Asking Price: Â£650.00 ono. Shipping costs not included. Returns are negotiable.